U.S. federal agents on Tuesday raided the offices of a food processing plant suspected of employing hundreds of illegal workers who used Social Security numbers that belonged to other people or were made up, authorities said. By Tuesday morning, approximately 100 workers had been placed under administrative arrest to be processed for possible deportation, an official with the U.S. Department of Homeland Security said. More arrests were expected, the official said. The official spoke on the condition of anonymity because the person was not authorized to talk about the case ahead of a news conference scheduled for Tuesday afternoon. According to an affidavit filed by Maximillian Trimm, a special agent with Immigration and Customs Enforcement, only 48 of nearly 600 employees at the Fresh Del Monte Produce fruit and vegetable processing plant had valid Social Security numbers. Prosecutors said a federal grand jury had indicted three people on criminal charges, but the indictment remained under seal. The raid at American Staffing Resources Inc. offices at the plant was based on an investigation by ICE and the Social Security Administration that began in January, the official told The Associated Press. Separate American Staffing offices also were searched, along with a Fresh Del Monte office, officials said. A federal judge authorized agents to search for evidence of violations such as hiring illegal aliens, identity theft and Social Security fraud, according to the U.S. attorney's office in Portland. 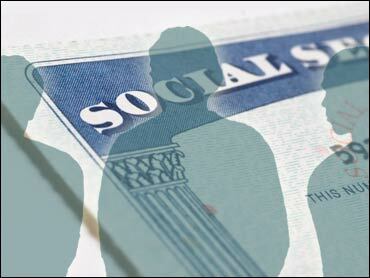 Federal prosecutors said that 20 of the Social Security numbers being misused belonged to people older than 60, and that 29 belonged to dead people. Aeryca Steinbauer, spokeswoman for CAUSA Oregon, an immigration rights group, was outside the Del Monte plant as agents were interviewing workers, but she said she had not been able to talk to any of them.